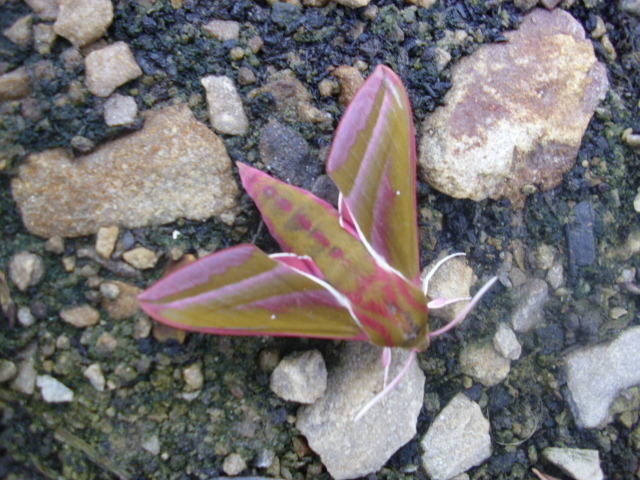 Arigna Natural Gardens » Elephant Hawk Moth. 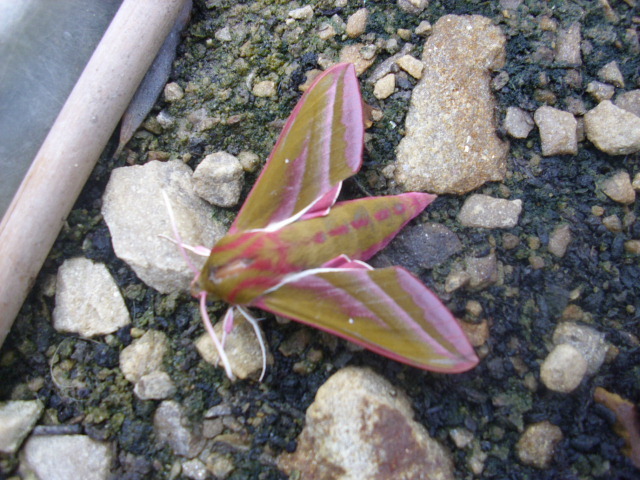 The beautiful ELEPHANT HAWK MOTH. We found this beauty sitting on a table in the large polytunnel this afternoon. It is the largest moth that I have ever seen, with a wingspan of 2 and 3 quarter inches!. They feed fom honeysuckle, valerian and petunias. If the table top looks a bit strange, it is because gravel has been put on top to aid drainage. The table itself is an old 6 x 3 foot snooker table!. Nothin goes to waste round here!.